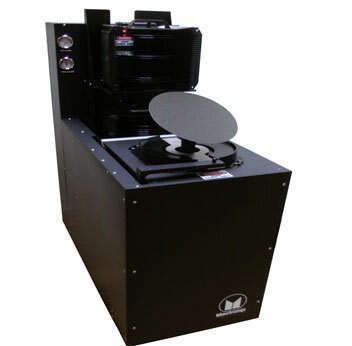 Features & BenefitsThe Automatic Wafer Inspector (AIS) machine presents wafers for light box inspection with the option for rejected wafers to be placed in lower 25-slot cassette. User friendly, menu driven programming for operator and maintenance mode provides complete flexibility. Unloading may be accomplished through keypad commands and may be pre-programmed for customized sequences. Wafers are memory mapped and monitored while in the cassettes and are vacuum sensed and monitored during robotic transfers to inhibit accidental damage. Specific flat orientation is achieved by one of four programmed positions. 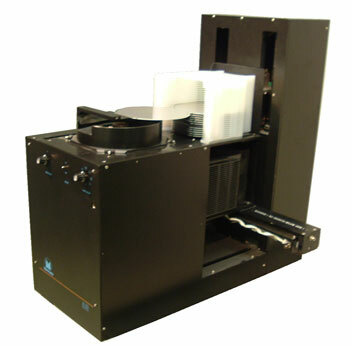 The machine has a small footprint and is exhaust ported for clean room operation. Elevator platform indexes for easy loading and unloading of wafers. Wafer tilted 65 degrees under “Light Cube” for 1x visual inspection. Light box enclosed on three sides for optimal inspection. Machine construction is from Mactronix standard anticorrosion package (all aluminum parts are black hard anodized).